Getting shocked while doing dishes? 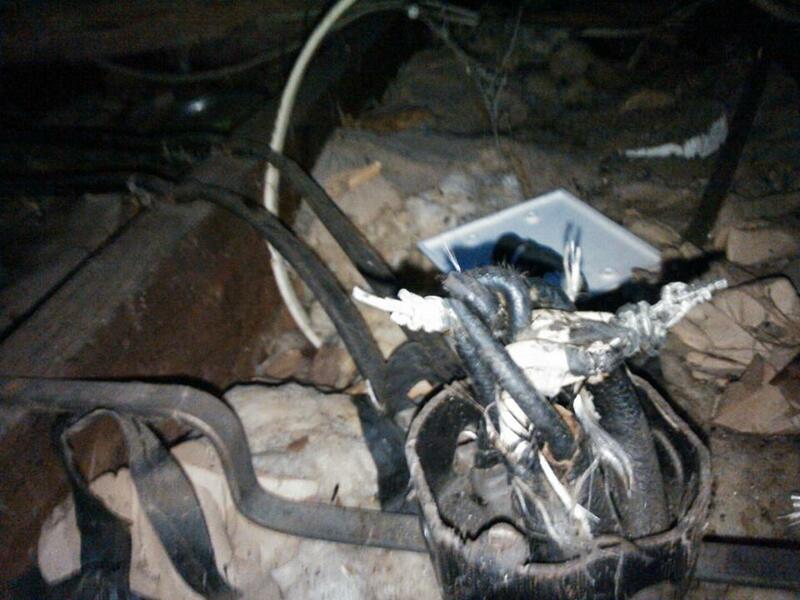 A small tear in wires insulation can cause a deadly hazard - In this case it was causing the homeowner to get shock from the sink while doing dishes. 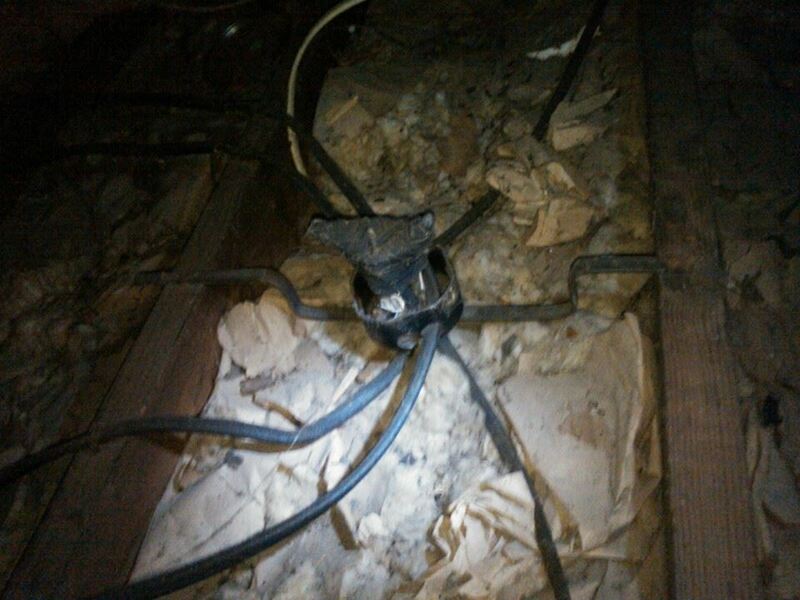 Is there a bad splice in your attic? Just because they put a whole roll of tape over it doesn't make it safe! 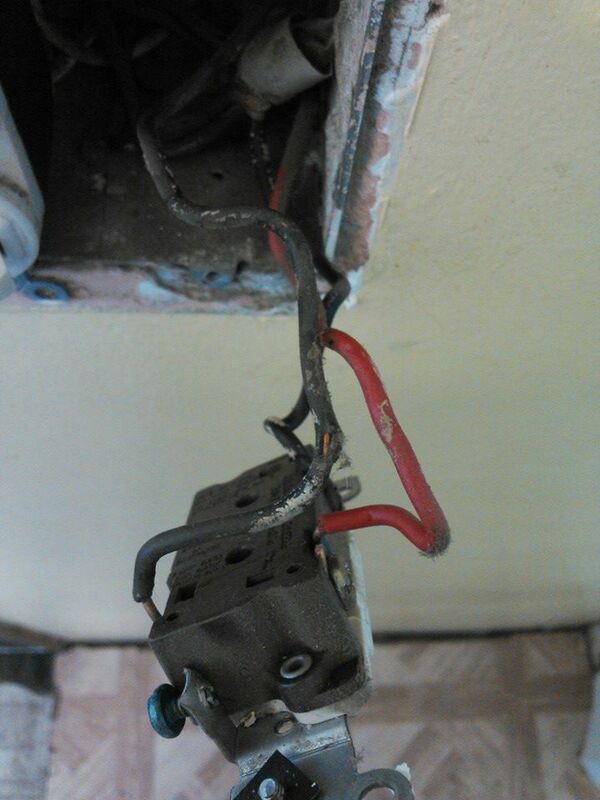 Bad connections can cause arcing which can cause a fire. BE SAFE, do it right the first time! call Belasco Electric. Heat and capacitors don't mix! 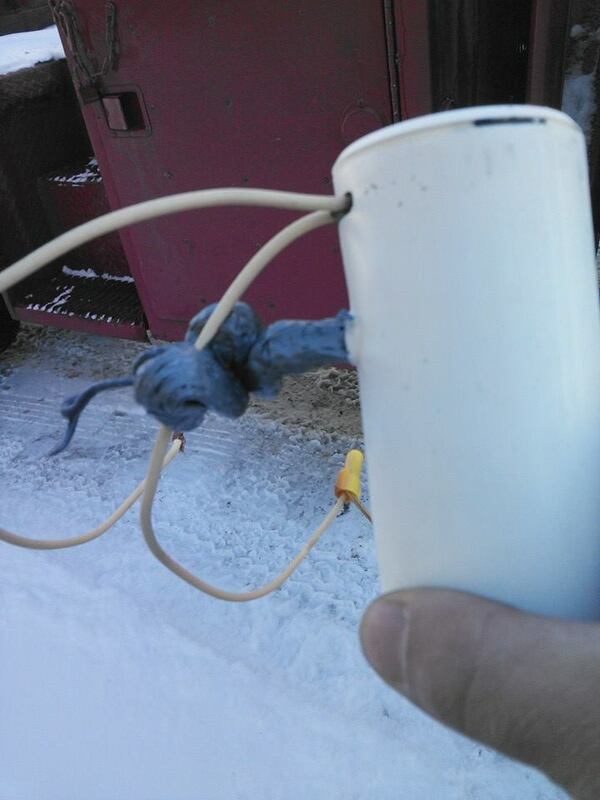 Heat can cause catastrophe in capacitors. 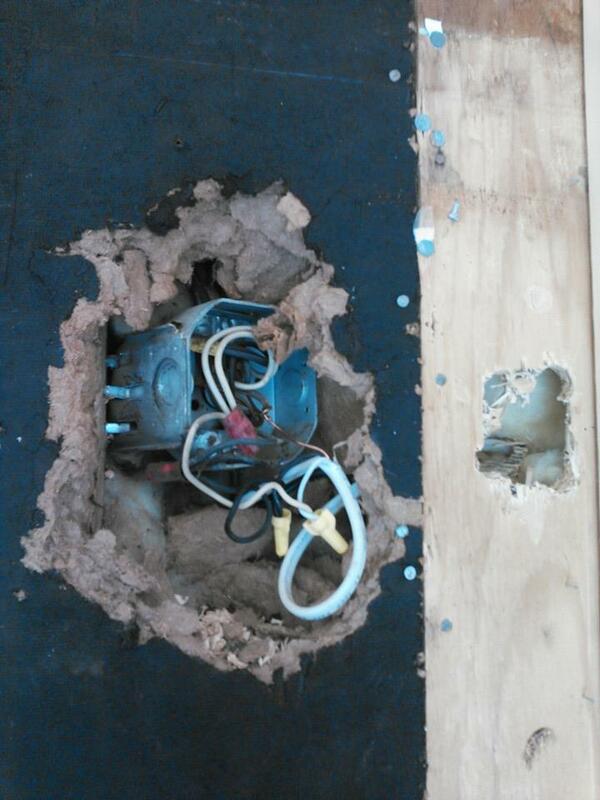 It is NEVER OK to enclose a box open or not in a wall! Please don't do this...give us a call first!